It's a Frisbee, it's a UFO, no - it's a Disc Swing from Gorilla Playsets. This unique swing comes with a rope and is ready to hang on any of Gorilla's wooden playsets. 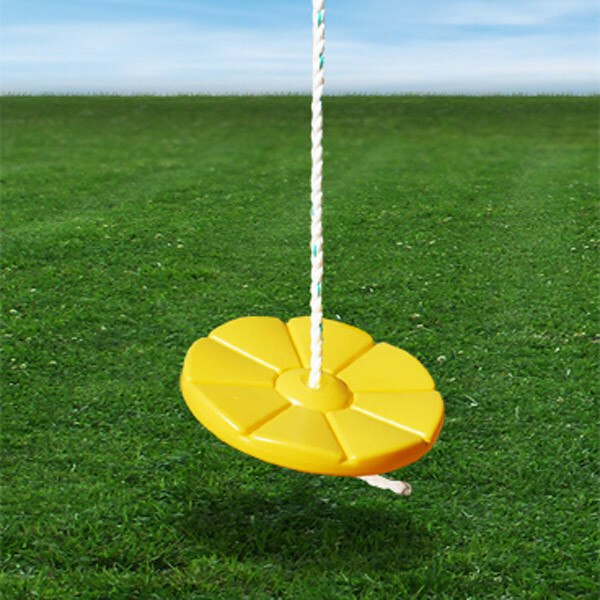 The rope is mounted through a hole in the center of the round disc and supports the swing while kids either swing back and forth or spin in circles. Younger kids will enjoy sitting on the swing, while older kids can stand and hold on for a wilder ride. Supporting up to 100 lbs. 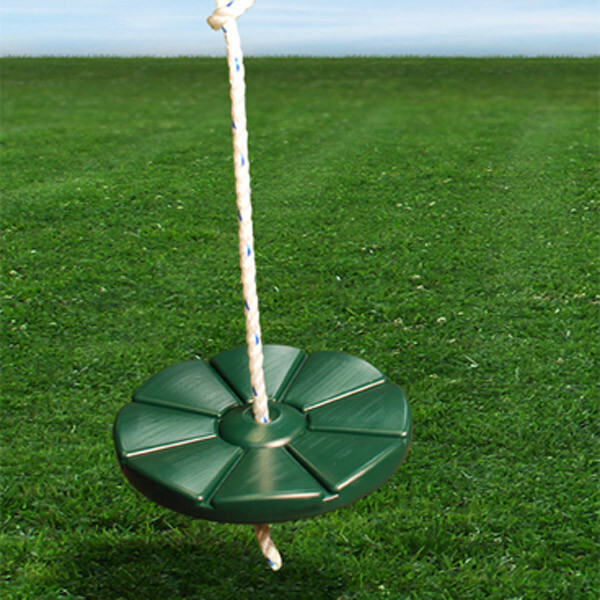 of weight, the Disc Swing is constructed of heavy duty polyethylene.